Teachers may sometimes feel overwhelmed by the multitude of resources available online. It might take one a tremendous amount of time to sift through and locate required materials to use in class, which is a taxing task for the already overburdened teacher. 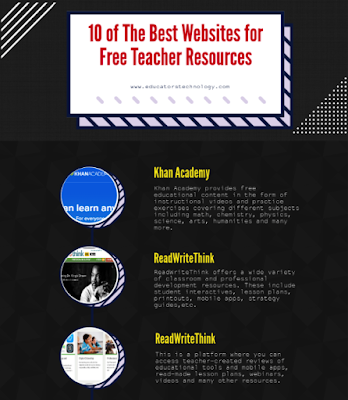 To this end, and to help teachers make better use of their time and resources we have curated for you some of the best free websites that provide a treasure trove of educational content most of which is created and shared by fellow teachers and educators. 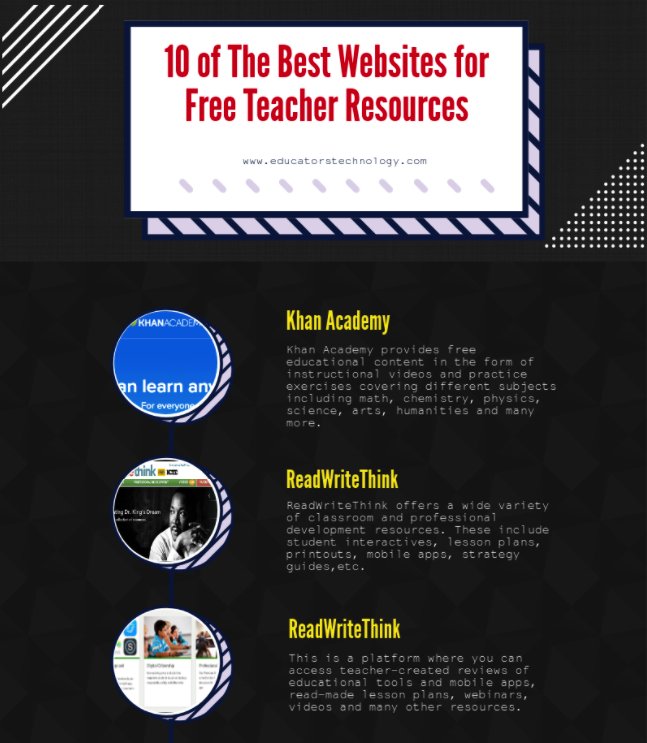 From ready-made lesson plans and study guides to practice exercises and EdTech tools, the websites below provide you with the resources you need to enhance your teaching/learning and grow professionally. This work is also available for free download in PDF format. Discovery Education provides tons of standards-aligned resources, tools to enhance students thinking skills, and opportunities for collaborative learning experiences to help teachers grow their professional practice.